A classical jazz trio this is not. Rather, tomorrow, renowned musician Joe Alvares will be taking the stage accompanied only by a tabla player and a pianist. According to Alvares, performing with a skeletal orchestra will a�?bare the trutha��. a�?When too many musicians are on stage, vocal technique and prowess can get clouded. My voice is an instrument too, and I would like to share with the people how Ia��ve been honing it for over 35 years, performing around the country and the world,a�? says the 61-year-old. Besides creating fusion on stagea��Indian rhythms, he feels, adds texture and melody to jazz compositionsa��Alvares will also be breaking the rules in how he sings. He will be sitting cross-legged on stage, like a Carnatic singer! a�?This is very scientific. Siddhasana keeps your spine straight, so the note-throwing is more powerful and you can deliver more inflections,a�? he explains, adding that when abroad, whenever he is accompanied by Indian instrumentalists, he always adopts the yogic posture. While Zakir Hussaina��s younger brother, Fazal Qureshi, will play the tabla (a�?a maestro who is mesmerisinga�? ), the keyboards will be manned by Karan Joseph, a Berklee-educated musician a�?who has a very contemporary head on his shouldersa�?. 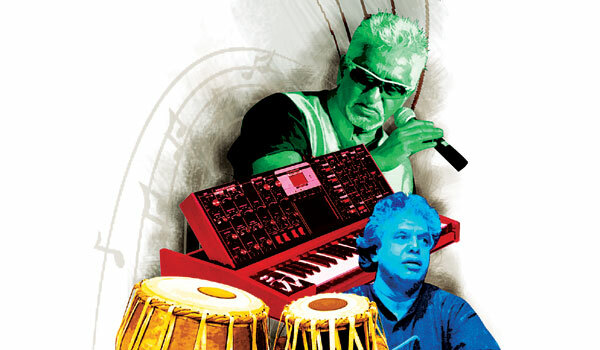 a�?With his right hand, Karan will play a Yamaha Clavinova, a digital electric piano, while with his left, he will work the Moog, the popular 1970s bass synthesiser. So ita��s double-impact,a�? says Alvares. He will also be debuting Apeksha Dhanwekar (VJ Anushaa��s sister), a classically trained singer with a strong R&B and Jazz base. a�?I will be performing jazz standards like What a wonderful world by Louis Armstrong and Nat King Colea��s Blue Moon. I will also sing a few of my compositions, which draw from my lifea��s experiences. Apeksha will do a few alaaps and solos, to offset my a�?roara��,a�? smiles the Mumbai-based singer. Currently working on an albuma�� of which nine songs (R&B, jazz and funk melodies) are readya��Alvares says he is also working towards bringing international-standard music to the country. a�?When you listen to an educated delivery, it is like putting on an Armani suit. It will be the same eight notes, but honed to perfection. Though we have talented musicians here, most cana��t read sheet music. The lack of conservatories, where musicians are taught in a disciplined environment, is why we dona��t have the grand orchestras like the ones they have in Europe,a�? he concludes, explaining that while institutions like Swarnabhoomi Academy of Music are paving the way, he is in talks with the Berklee College of Music to start an institution here.